To Grandmother’s house, we go! 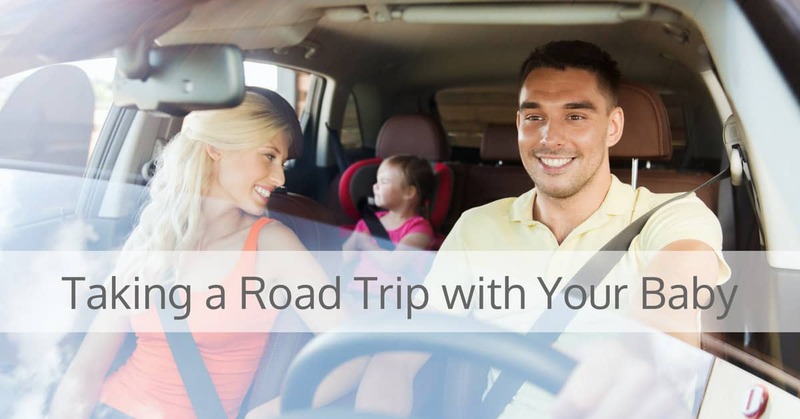 And you’ll be in the car for five whole hours – how can you make the trip enjoyable with a baby along? There’s no question: Marathon car trips with a baby on board take a good amount of planning and organization. But it can be done, and yes, it can even be fun! In the hustle that precedes a trip, it can be easy to let things happen, instead of making things happen. Be proactive in making your trip decisions. Contemplating these questions, and coming up with the right answers, can help your trip be more successful: Does your baby sleep well in the car? If yes, plan your travel time to coincide with a nap or bedtime so your baby can sleep through part of the journey. If not, prepare to leave immediately after a nap or upon waking in the morning. Don’t fool yourself into thinking your baby will behave differently than usual in the car just because it’s a special occasion. When estimating an arrival time, have you factored in plenty of extra time for unplanned surprises? A diaper explosion that requires a complete change of clothes or a baby whose inconsolable crying needs an unexpected 20-minute stop are just two of the things that can easily happen. Use ribbon or yarn and safety pins or tape to hang an array of lightweight toys from the ceiling of the car to hang over your baby. An alternative is to string a line from one side of the car to the other with an array of toys attached by ribbons. Bring along an assortment of new toys that can be exchanged when you stop the car for a rest. Just be sure to use small toys and keep them out of the driver’s line of view. If you plan to have someone sitting next to your baby, then provide that person with a gigantic box of toys with which to entertain the little one; distraction works wonders to keep a baby happy in the car. One of the best activities for long car rides is book reading. Check your library’s early reading section; it typically features a large collection of baby-pleasing titles in paperback that are easier to tote along than board books. Bring along an assortment of snacks and drinks for your older baby who’s regularly eating solids, and remember to bring food for yourself, too. Even if you plan to stop for meals, you may decide to drive on through if your baby is sleeping or content, saving the stops for fussy times. You may be so relieved that you lived through your trip that you forget the other journey ahead of you: the trip back. You’ll need to organize the trip home as well as you before. A few days in advance, make sure that all your supplies are refilled and ready to go. Think about the best time to leave, and plan accordingly. In addition, think about what you learned on the trip to your destination that might make the trip home even easier. Is there something you wish you would have had but didn’t? Something you felt you could have done differently? Did you find yourself saying, “I wish we would have…”? Now is the time to make any adjustments to your original travel plan so that your trip home is pleasant and relaxed.